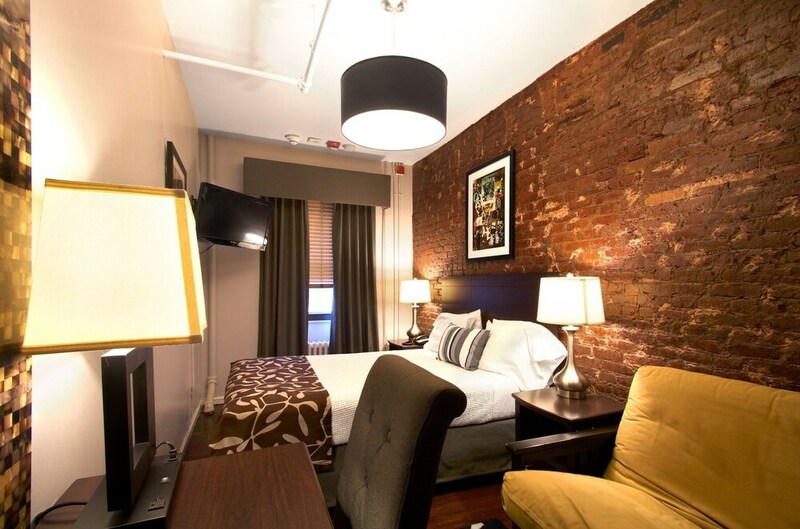 Located in Greenwich Village, Hotel 309 is adjacent to Chelsea Market and within a 10-minute walk of other popular attractions like The High Line Park. The 28 rooms at this hotel include kitchenettes and refrigerators and guests can enjoy free breakfast. A TV comes with satellite channels, and guests can stay connected with WiFi. The bathroom offers hair dryers and free toiletries. Other standard amenities include a kitchenette, a refrigerator, and a microwave. Hotel 309 features WiFi in public areas, a 24-hour business center, and free newspapers. The 24-hour front desk has staff standing by to help with luggage storage and tours/tickets. Additional amenities include a picnic area and a garden. Wireless Internet access is available for a surcharge. A 24-hour business center is on site. A complimentary breakfast is offered. This New York hotel also offers tour/ticket assistance, a garden, and a picnic area. Hotel 309 is a smoke-free property. Hotel 309 offers 28 air-conditioned accommodations with safes and coffee/tea makers. Kitchenettes offer refrigerators and microwaves. Bathrooms include complimentary toiletries and hair dryers. In-room wireless Internet access is available for a surcharge. Satellite television is provided.